I designed these pages getting ready for my first party. I hope they like them. 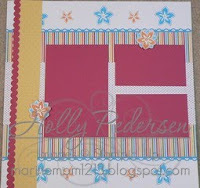 Accessories: Polka Dot texture folder, Scallop Edge border punch, Scallop Trim border punch, Big Shot, Island Floral die, So Saffron brads. Wish me luck, and thanks for stopping by. They are going to love these pages. Love the colors you used, what a fun page. 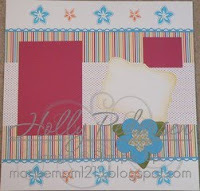 I hope to get some stamping time soon, maybe tonight. I can hear my stamping calling me, lol.